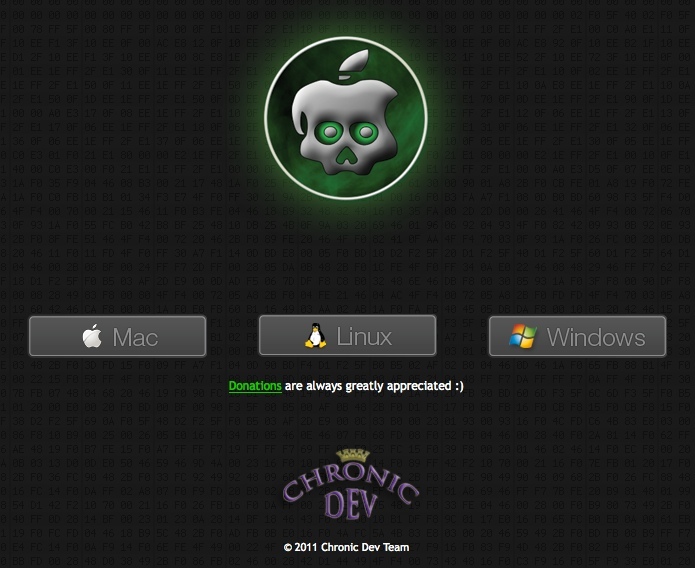 The Chronic Dev Team released their untethered jailbreak, Greenpois0n for iOS 4.2.1. This jailbreak is now available for Mac and Windows users. If you’re on Windows, you can follow this brief overview on how to jailbreak with Greenpois0n. As always, do your research, and then proceed at your own risk. This guide will jailbreak your iPhone 3GS and iPhone 4 on iOS 4.2.1 on Windows (click here for the Mac tutorial). 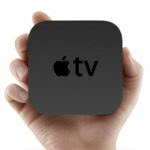 – sync your iPhone in the latest version of iTunes. – if you NEED your iPhone unlocked, do not update to iOS 4.2.1 via iTunes (you should know this by now). 2. Turn off your iPhone. In Greenpois0n, click “Prepare to Jailbreak (DFU)”. Now you will get instructions on how to enter DFU mode. 4. Once you’ve entered DFU mode, click “Jailbreak”. 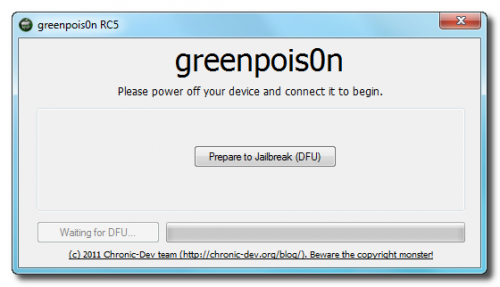 Greenpois0n will now work its magic and jailbreak your iPhone 3GS/4. 5. Once finished, click QUIT in Greenpois0n. Some text will scroll on your iPhone’s screen and will restart. 6. After the restart, you’ll notice the Loader app on your homescreen. Launch it. 8. Restart iPhone, load Cydia and install updates. Done! Let me know how this brief tutorial works for you. If it fails the first time, you probably did not enter DFU mode correctly. Try again.